This is a unique and engaging novel that delves deep into the dark and mystic world of fairy tales, yet is refreshingly told from the perspective of a teenage girl going through the usual teenage issues of fitting in, making friends and her relationship with her single mother. This book really draws you into its eerie and unsettling world, where at times you’re not sure what’s real and what's not. There’s something mesmerising about it that makes you want to keep reading and reading. Alice and her mother are always on the move. Alice doesn’t know why they are always moving, except that wherever they go, bad luck seems to follow. Their house floods, the ceiling falls in, and unusual encounters abound. They are always running from the bad luck. Alice’s grandmother is Althea Proserpine, a reclusive author well known for penning a book of fairy tales. Alice has never read them, but knows they are dark and have a cult following from those few who have been able to find the elusive book. When news arrives of Althea’s death, Alice’s mother thinks they are free. Alice isn’t quite sure what they are free of but is content with the idea of settling in one place for a while. However, the good luck doesn’t last long, and strange things begin to happen. When Alice’s mother disappears, Alice and her new friend Finch must traverse the world of fairy tales to uncover the truth about what happened and where Althea’s fairy tales really came from. 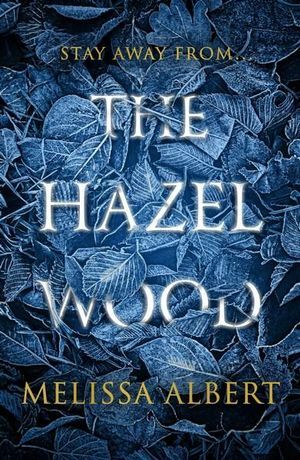 Initially, their only clue is the last warning given by her mother, ‘stay away from the Hazel Wood.’ It doesn’t take long for other clues to fall into their path, in fact it seems that instead of them seeking out the fairy tale world, it’s the fairy tale world trying to lead them in. But where are they going? Don’t be fooled into thinking this is a light-hearted read, the fairy tales are dark and dangerous. Alice must face some frightening characters and disturbing stories to get to the heart of her grandmother’s world and try to find her mother. A gripping supernatural read for fantasy and fairy tale lovers.